This is the title of one of the most impactful, educational films released in years. It has the power to drastically improve your and your family's future. Please watch it online now - while it's available free (until March 31st). 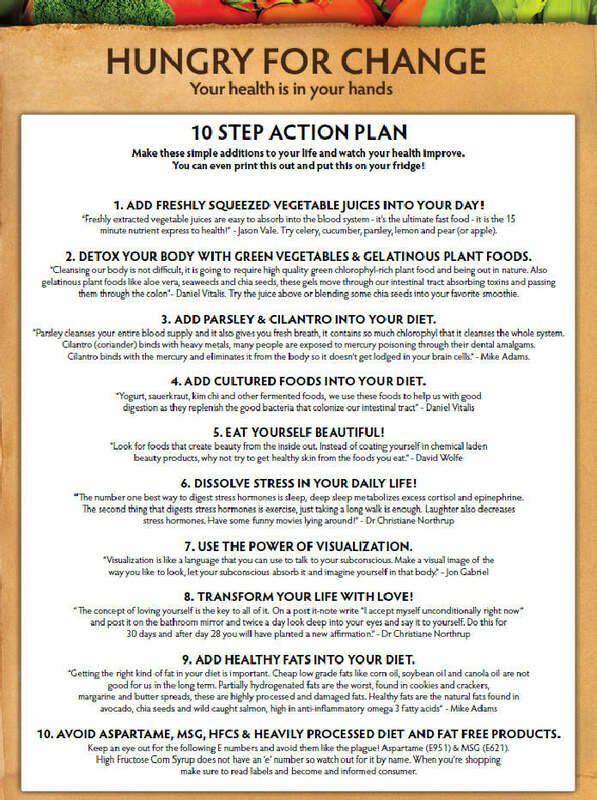 Then, armed with potent knowledge and conviction, follow this 10 Step Action Plan (click for a printable pdf). Judge for yourself: is it worth putting your health in your hands and doing something great with that health? If so, your health IS now in your hands. Juice Plus+ is a great place to start on this journey to renewed health and vitality. It supports each of the first six action steps above. Juice Plus+ is not THE answer, but it IS a catalyst for change, from the inside out, at a cellular level. Juice Plus+ is clinically proven to build healthy new cells, and those cells will reproduce as healthy cells. You can read the research here. Contact us if you have questions or if you are ready to get started.